This is part of the Rotunda, at the Hotel Ponce de Leon. This area is painted, and gilded. 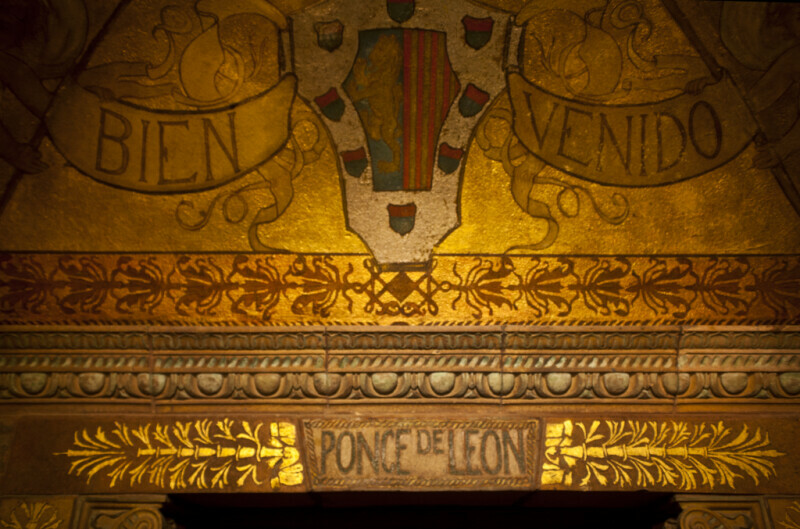 The lintel, below the painting, is marked with the name of Ponce de Leon. There is a decorative crown molding above the lintel.